﻿﻿S﻿ynopsis : ﻿Beautifully illustrated by renowned artist Eddie Campbell, this is a four-colour edition of Neil Gaiman's award-winning novelette "The Truth is a Cave in the Black Mountains"- a haunting story of family, the otherworld, and a search for hidden treasure. 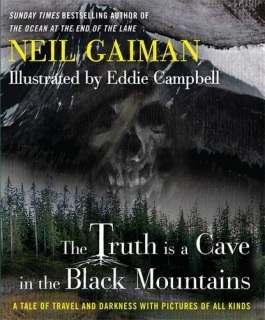 The text of The Truth Is a Cave in the Black Mountains was first published in the collection Stories: All New Tales (Headline, 2010). This gorgeous full-colour illustrated book version was born of a unique collaboration between writer Neil Gaiman and artist Eddie Campbell, who brought to vivid life the characters and landscape of Gaiman's story. 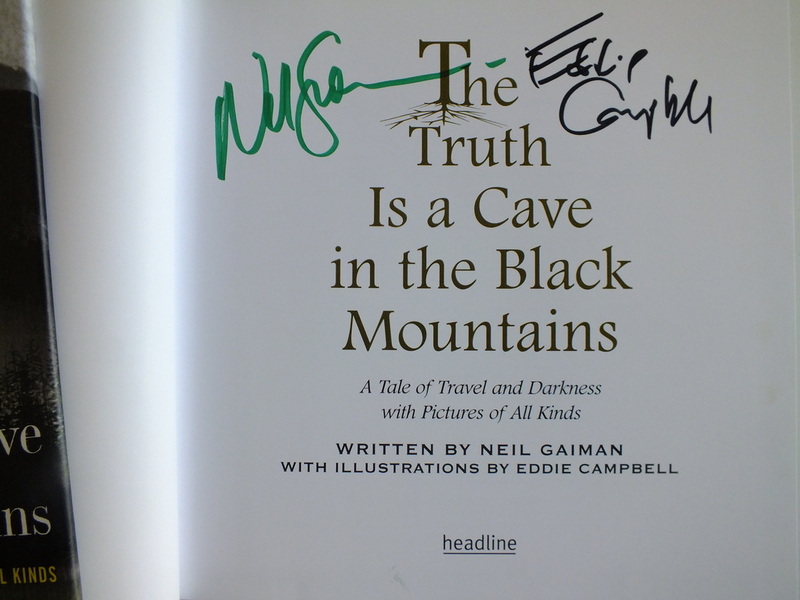 In August 2010, The Truth is a Cave in the Black Mountains was performed in the concert hall of the Sydney Opera House to a sell-out crowd - Gaiman read his tale live as Campbell's magnificent artwork was presented, scene by scene, on large screens. Narrative and art were accompanied by live music composed and performed especially for the story by the FourPlay String Quartet.